What is your R: IQ? Calculate in seconds! Then pick a monthly income you want, or need. What age you want to retire at. Calculate and wallah! You are empowered to live your dreams. No matter your age, you can start skipping and whistling towards your best future, today! Chris Hogan! He sounds like James Earl Jones and the All-State voice. Yet, he’s not. He’s a family man with a heart to see you and I succeed in the years to come! 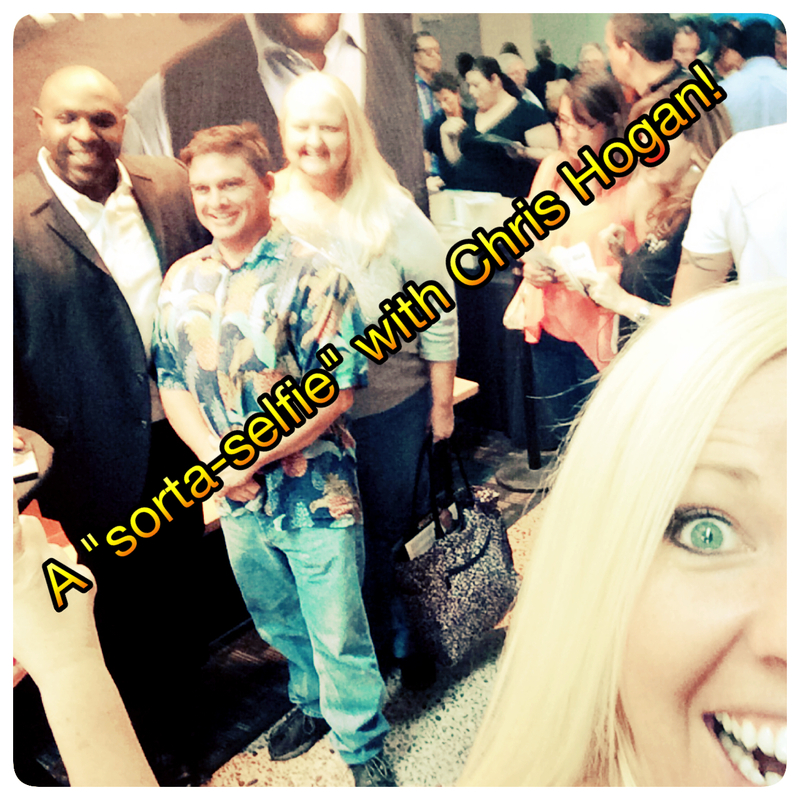 The highlight of my time with Chris Hogan at the Smart Conference 2015 was when I stole a “sorta-selfie” with him. 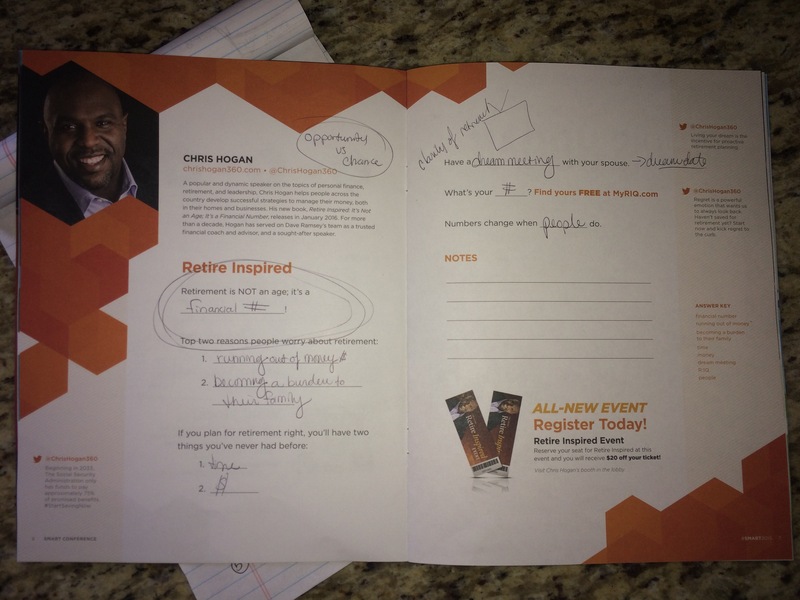 Robert had gone to grab us a snack and I had split off to purchase Chris Hogan’s new book “Retire Inspired.” Since Robert wasn’t there to keep me couth. I jumped at the opportunity to speed passed those book-signing wait lines and grabbed a selfie with him! Thanks a million, Mr. Hogan! The problem is that 7 out of 10 homes (70%) of people live from paycheck to paycheck. Very few have no retirement savings. There is no future financial plan other than social security. What did I learn? I learned the very thing. Did that open my mind up or what!? Does that mean that we could retire at 45? Sure! If we are financially there! Does that mean that we would never be able to retire? Whoops. The truth is yes. If we are NOT financially there. Why did this message stick? 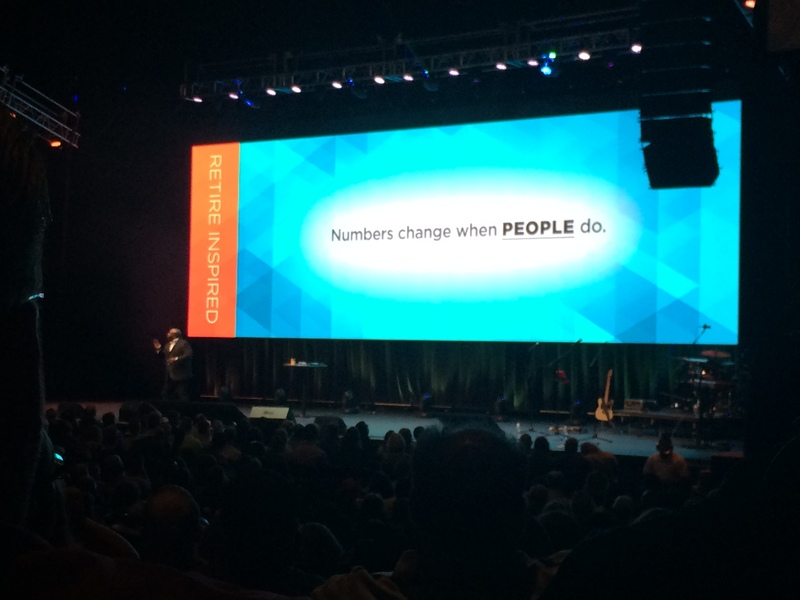 This message stuck because I don’t want an age to define what God has for our lives. I want the freedom to not be under payments but be under the leadership of God. I want us to go where He would dream for us to go. But if we aren’t living below our means, finishing getting out of debt, and investing for retirement, we will not get there! It’s simple. 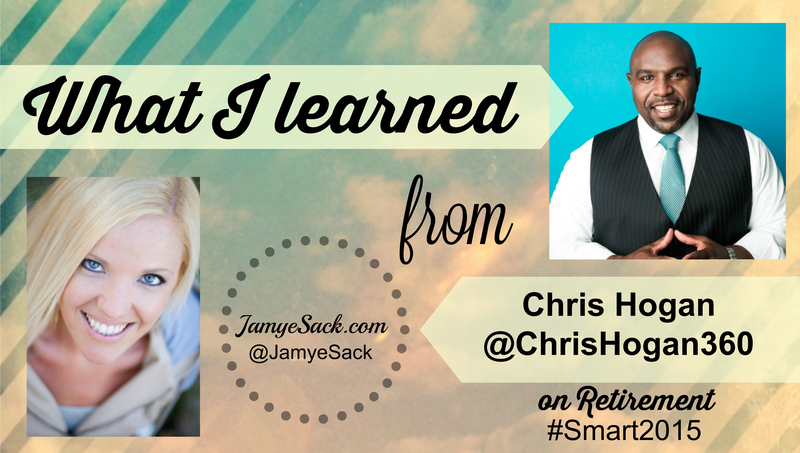 Chris told the story of a couple in denial of financial help. They were in denial until the day they learned that their aunt was surviving on canned dog food. No one knew her poverty level. In fact, this couple thought she had money because she always gave money away. She did until the day she didn’t. This was a heart-wrenching story that stuck. Why does this message mean something to me? …then we will not get there. We must do the previous four things in order to get there. The beauty is that, it is NEVER too late to begin living on less than you make and investing your money! Your Retirement: IQ calculator here.